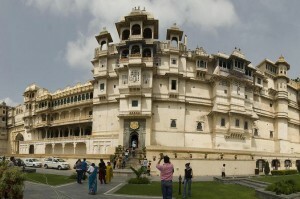 Udaipur Tourism: This page is about Udaipur Tour and Travel Guide. 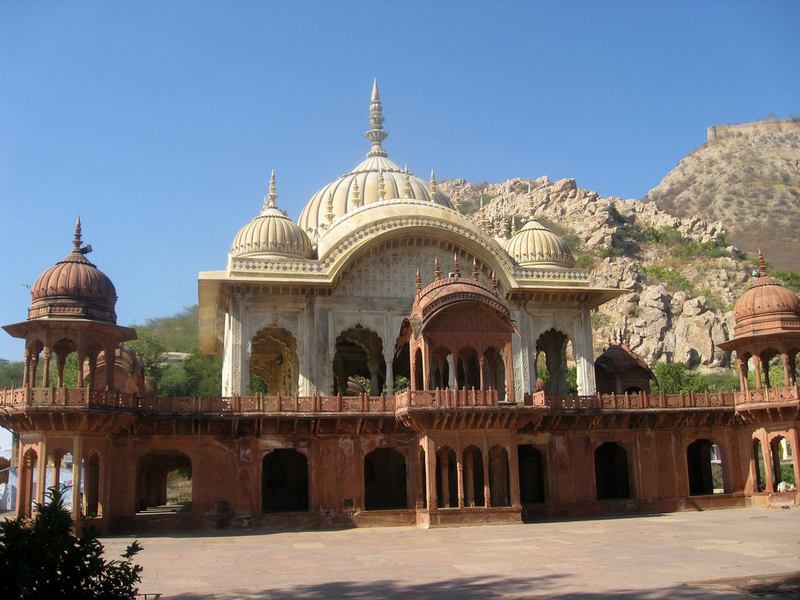 Discover a land that glitters with tales of courage, valor and undying pride of the famed Sisodia Rajputs. Listen to soul stirring ballads sung by local bards, see Udaipur ‘s architectural glory and experience the haunting Udaipur romanceUdaipur on your historical tours to fascinating Udaipur – a scintillating vision in cream-white. Royal Udaipur owes its existence to Maharana Udai Singhji. 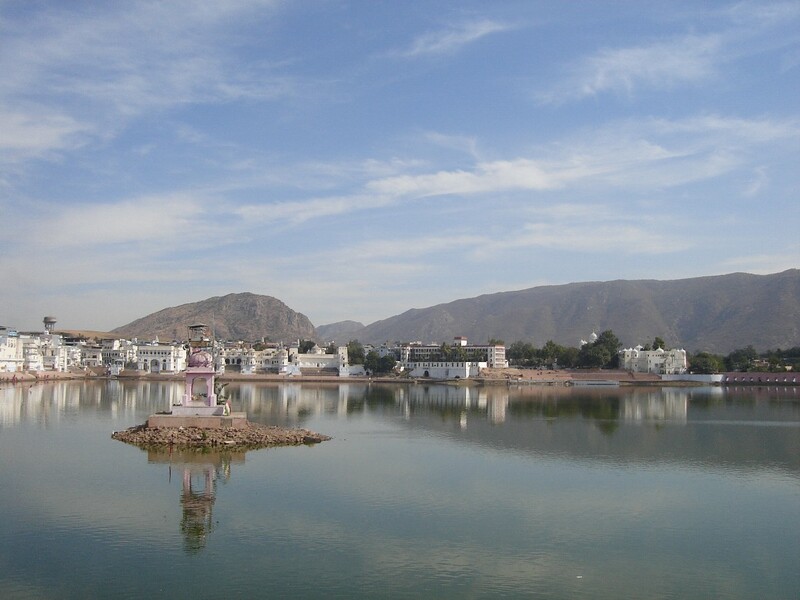 According to common legend the history of Udaipur begins with a chance rendezvous between Maharana Udai Singh on a hunting expedition and a holy sage meditating on the banks of a lake in the midst of the Aravlli’s. Udai Singh built the Dhuni Mata shrine at that very spot to commemorate this historic meeting. Udaipur’s history began with the construction of the Nouchouki palace on the banks of a pond dug by a gypsy in the 15th century. 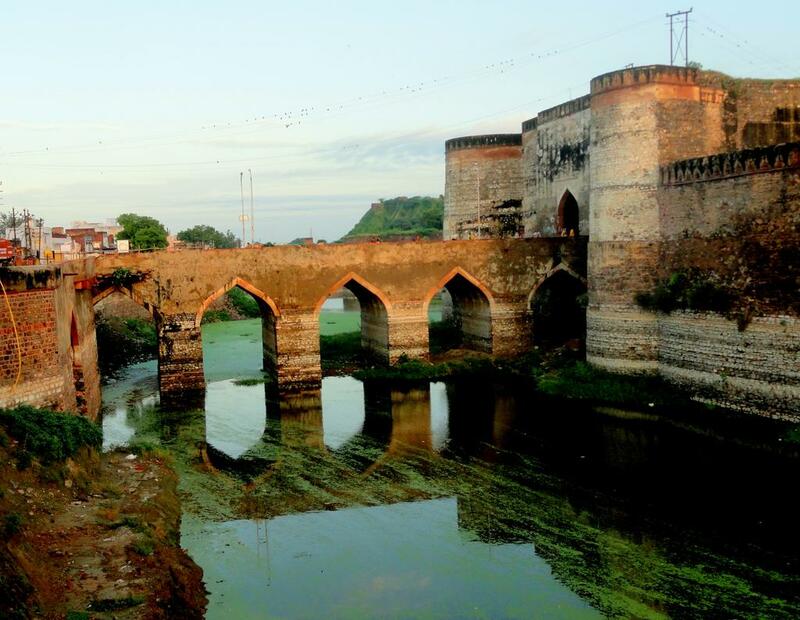 Udai Singh extended this pond and dug a massive manmade lake and christened it Pichola after a tiny village Picholi, located close by. 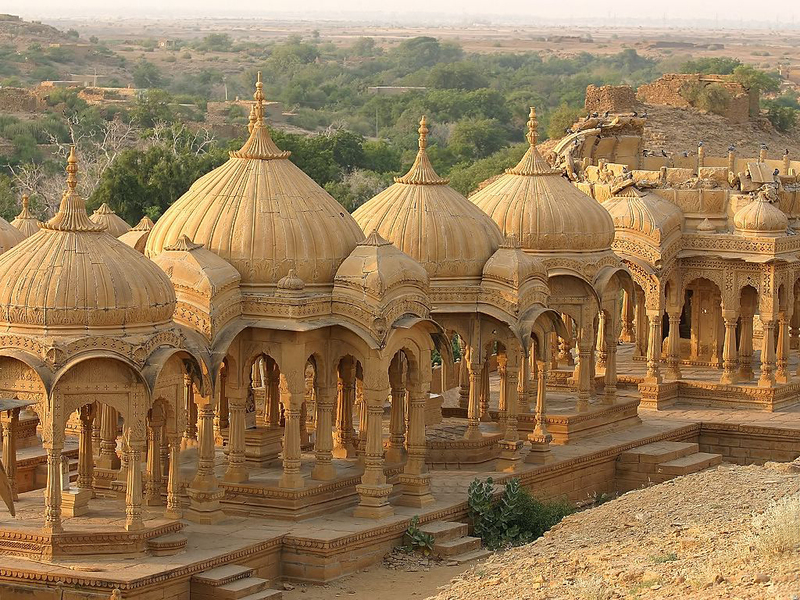 A suryavanshi and a descendant of the Sisodia Rajputs who are the oldest ruling family in the world with a traceable history of over 26 generations, Maharana Udai Singh created a dream city that is an oasis with lakes, wildlife, flora and fauna in the midst of desert Rajasthan. The Capital of Mewar, Udaipur refused to pay obeisance to the mighty Mughals. After the death of Udai Singh, his valiant son Maharana Pratap took over the royal throne and was engaged in constant power skirmishes with the Mughals with an aim to recapture the erstwhile capital of Mewar, Chittor. 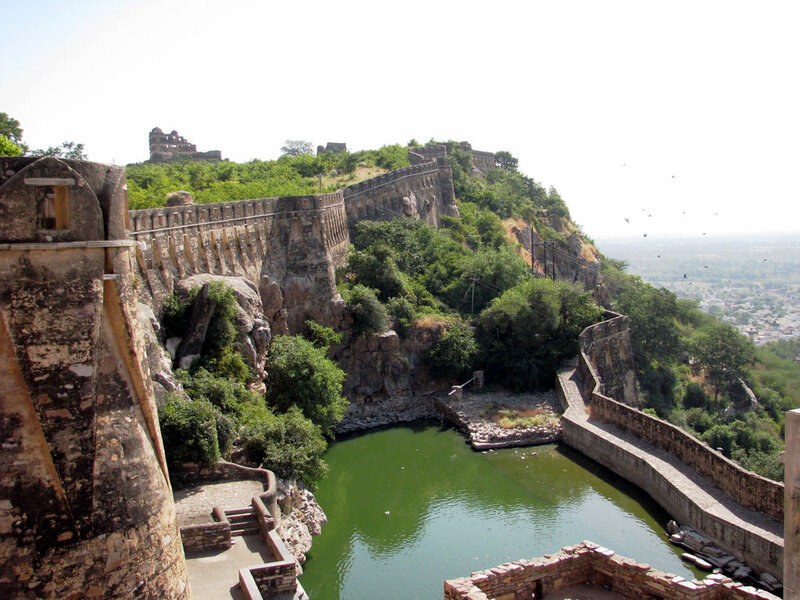 A landmark in the history of Udaipur, the fierce battle of Haldighati was fought in between Akbar and Maharana Pratap. Till date you can see a delightful shrine that was constructed in the memory of Chetak, Maharana Pratap’s beloved horse, who in spite of suffering fatal injuries had brought its master to safety from the battlefield. 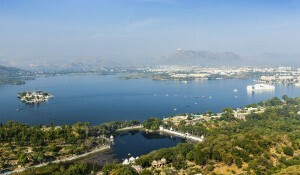 Climate: Udaipur is a part of royal Indian state of Rajasthan. 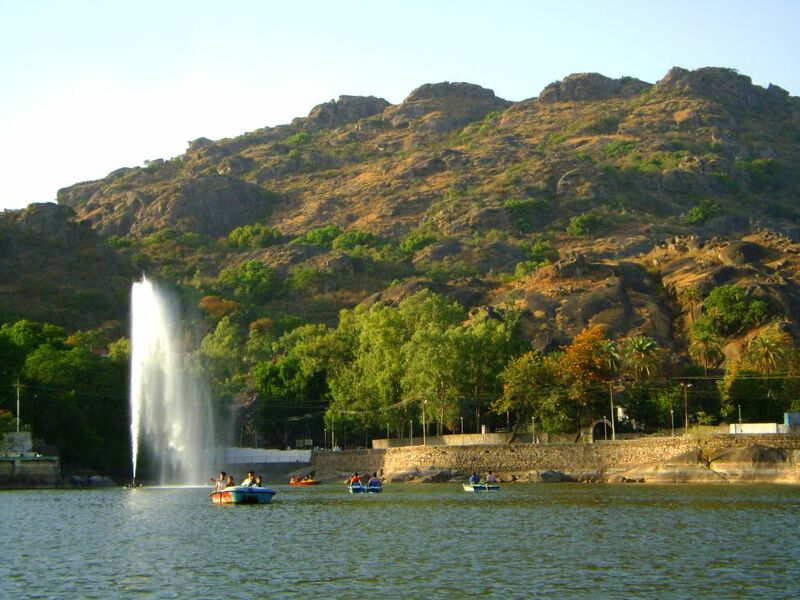 The climate of Udaipur is tropical with the mercury staying between a maximum of 38.3°C and a minimum of 28.8°C during summers. Winters are a little cold with the maximum temperature rising to 28.8°C and the minimum dipping to 11.6°C. 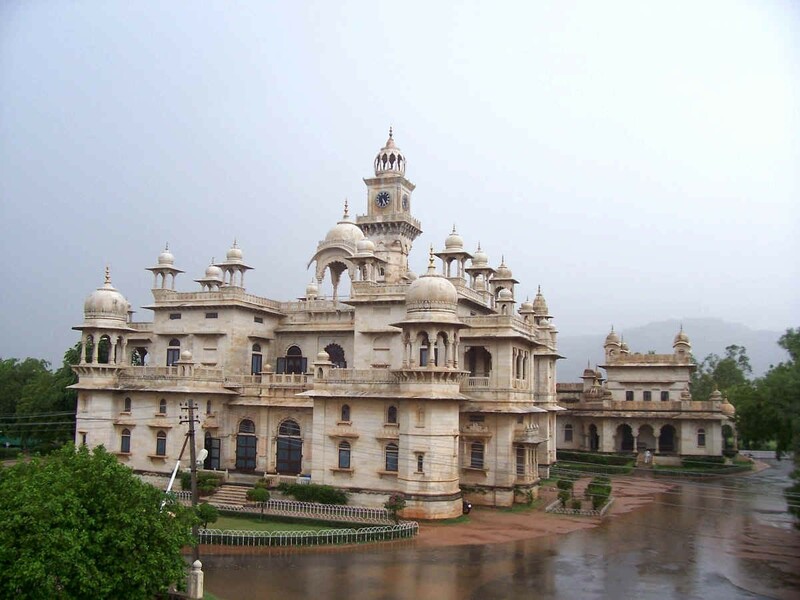 The annual total rainfall received at Udaipur is 61 cm. 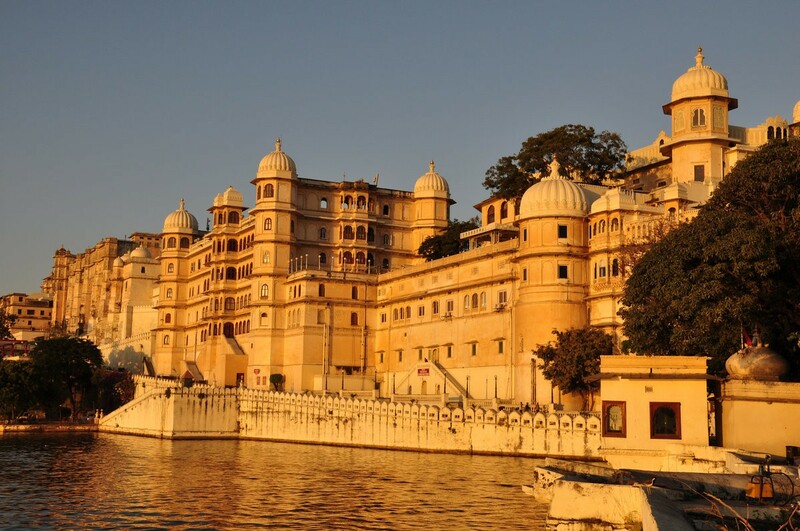 Winters (September-March) are the best period for visiting Udaipur. character. You may see one or more of these communities, possibley without realizing it. There is an Institute of Tribal Research near Shastri Circle, Udaipur, and the W Zone Cultural Centre in Udiapur (see Udaipur entry) has futher details. The Bhils comprise 39% of Rajasthan’s tribal population and are concentrated in the S. Their stronghold is Banswara. The generic term drives from bil (bow) which describes their original talent and strength. The Hindu epic the Mahabharat mentions the Bhils and their archery skills. Today, the accepted head of all the Rajput Clans of Rajasthan – the Maharana of Udaipur- is crowned by anointing his forehead with blood drawn from the palm of a Bhil chieftain, affirming the alliance and loyalty of his tribe. The Bhils maintained their numbers by mingling with rebellious outcase Rajputs. Rajput rulers came to value the guerrilla tactics of the Bhills, and Muslim and Maratha attacks could not have been repelled without their active support. However, they always remained a minority and offered no real threat to the city-dwelling princes and their armies. Physically, they are shor stocky and dark with broad noses and thick lips. They marry within a narrow kinship group and the tribe has a patrilineal system of inheritance. The Bhils use to live off roots, leaves and fruits of the forest and the increasingly scarce game. Most now farm land and keep cattle, goats and sheep, while those who live near towns often work on daily wages to supplement theirUdaipur incomes. Imperfectly absorbed into Hinduism, the Bhils have their own deities. Nandevro, a deity who presides over the corn, Gwali, the god of milk and Hir Kulyo, the god of agriculture, are three of the most important. The fact that these gods are worshipped indicates how much the Bhil way of living has changed from their original hunting and gathering existence. Thousands congregate near the confluence of the Mahi and Som rivers in Dungarpur district for the Baneshwar fair in Jan/Feb. 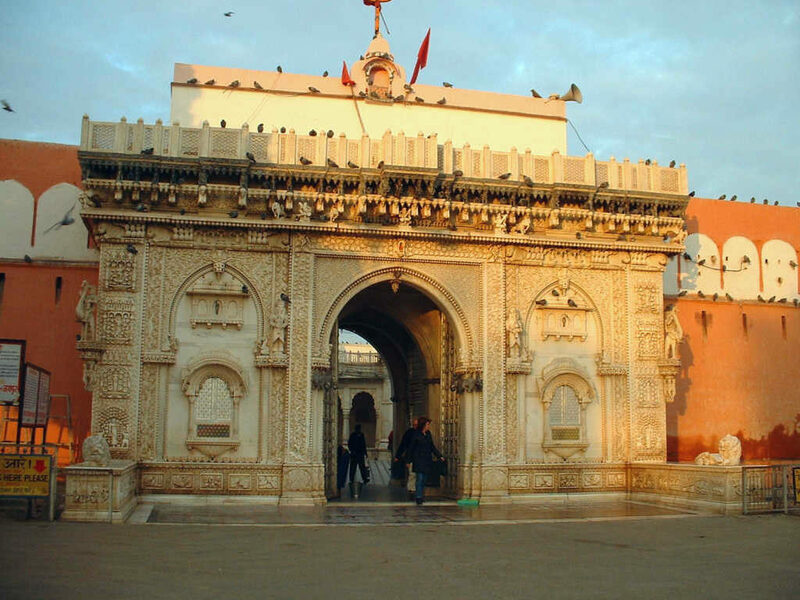 By Air: Debock Airport is 24 km from the city centre; Dairy Indian Airliness flights connect Udaipur with Jodhpur, Jaipur, Aurangbad, Mumbai and Delhi. 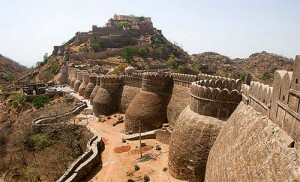 By Road: A wide network of bus service link Udaipur with several destinations. Some of the important distance are Agra, Ahmedabad, Jaipur,. 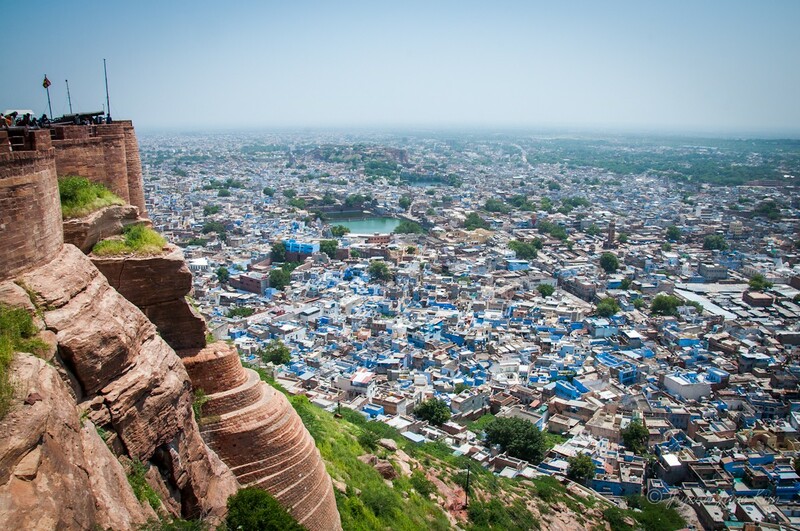 Jodhpur and Mount Abu. 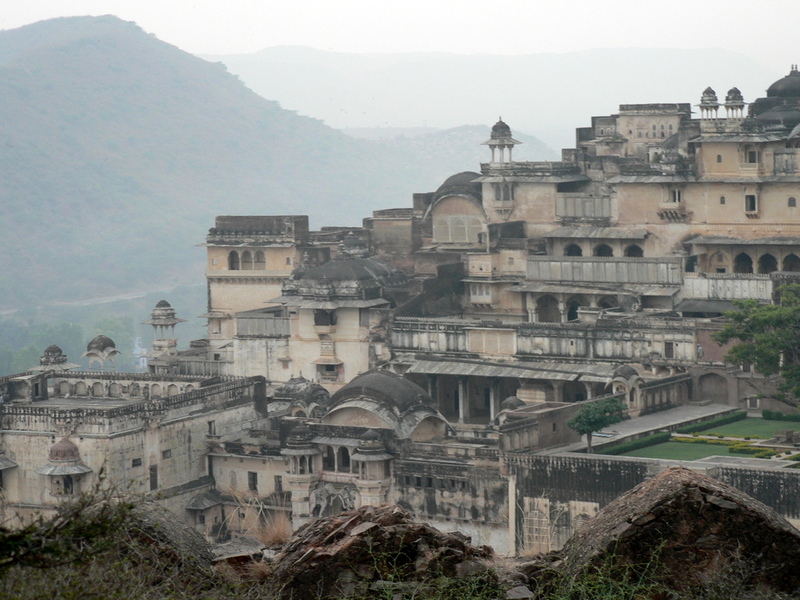 Shopping: Udaipur is mostly known for its vibrant lakes and temples. Being a part of Rajasthan, Udaipur has the tints of bright colors and you can certainly find these colors in its lively markets. 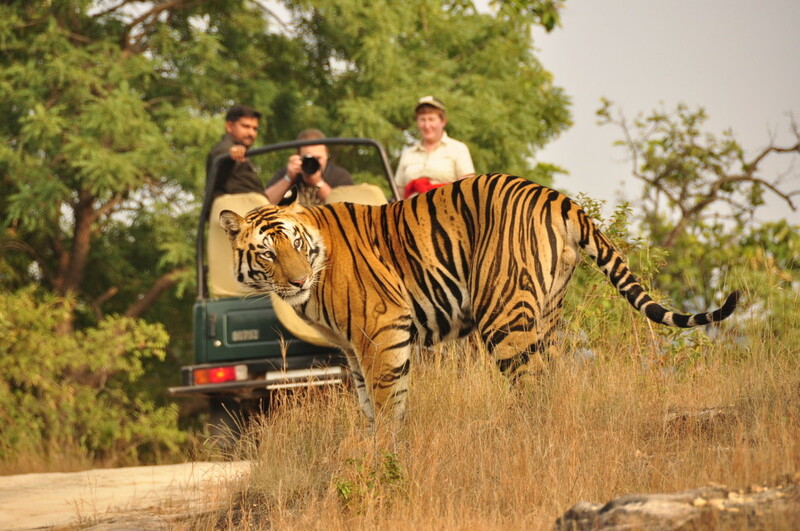 One can experience the markets of Udaipur to get the best deals and capturing the most of Rajasthan. Udaipur has myriad number of small shops, big showrooms and roadside stalls that would offer you an extensive variety to choose from. items and paintings. Udaipur is particularly famous for its miniature paintings inspired by style of Rajputs & Mughals. Like the whole of Rajasthan, Udaipur offers the exquisite variety of Udaipurhandicrafts. They may range from toys, bewitching puppets, wall hangings, pen stands, cloth lanterns, handmade papers, painted wooden box to Greeting cards. Udaipur has an assortment pottery too that can be availed in both metal and mud. Pottery covers all kings of pots, plates, vessels and different kinds of containers. Apart from this, brassware and terracotta sculptures are also popular. Regarding clothes, you can grab traditional clothes colored in batik and hand prints. Dyed saris and textile also forms the major part of clothing. Talking about jewelry, you can buy precious stones, kundan and silver jewelry to match your elegant taste of ornamentation. If you are roaming around the streets of City Palace, you will find ethnic miniature paintings that are made in the creative style of the Mewar School of Art. By now, you must have been definitely inspired by the Mewar culture and to keep this inspiration active, you can buy the Pichwai paintings. These paintings are almost synonymous to the taste of Mewar rulers. Initially, these paintings were made in bright colors and used to make the background for images of Lord Krishna. These paintings are available on silk, wood, marble, paper and Ivory. Today, Pichwai paintings grace the drawing rooms of people with their modern touch. Coming to the shopping places, Hathi Pol, Bada Bazaar, Chetak Circle, Bada Bazaar and Palace Road are some of the popular shopping arcades of Udaipur. While shopping in these markets, don’t forget to bargain with the shopkeepers to get the value of your money. If you are running short of time to explore the markets, the Government of Rajasthan has made adequate arrangements for you. Rajasthali and Sadhna are two government emporiums that offer all the products under a single roof. Here you will get the quality product at a fixed price. However, the real charm of shopping comes in exploring the streets of Udaipur bargaining with the local vendors. So, while touring Udaipur take out some time to shop in the vibrant markets of Udaipur. Cusine: Udaipur had once been land of Sisodia Rajputs. Being part of MewarUdaipur region, certain expectations regarding the cuisine of Udaipur is reasonable. Udaipur used to make one of the best kitchens for the Royal Monarchs. The city still serves the finest food to its dwellers and tourists. If you are planning to visit this beautiful city of lakes, there is no need to worry about your meals, since the city has numerous restaurants. Many a restaurants dish up various cuisines, so there is no need ponder about what to eat. Influenced by Vaishnavism, Udaipur cuisine is debarred of non-vegetarian dishes. Udaipur is famous for its Dal-Baati-Churma, Gatte-Ki-Sabzi, Kachori and Mirchi Bada. Meals are usually comprised of lentils, vegetables and a fantastic variety of spices. Lentil curries, yoghurt soups with deep fried breads and chilli fritters make the favorite feast. Ocra, dried mango and Sangri (beans) go together with most of the meals. However, this is not a constraint for people who love non-vegetarian food as there are many restaurants that serve non-vegetarian food. People, who are not very keen to try the cuisine of Udaipur, there are plenty of restaurants that dole out special cuisines ranging from Chinese and Thai to Intercontinental and Italian food. If fast food is your choice, you will find variety of patties, pastries, sandwiches, pizzas, Indian chat etc to satisfy your taste buds.